This hearty, whole grain salad is made with bulgur wheat, dried cherries, arugula, feta and scallions. Ideal for prepping ahead, this dish tastes better over time! Summer has OFFICIALLY arrived here in Michigan and that means we are just weeks away from our favorite season of all: cherry season! The cherry capitol of the world, you better believe this Michigan gal takes cherry season pretty seriously. 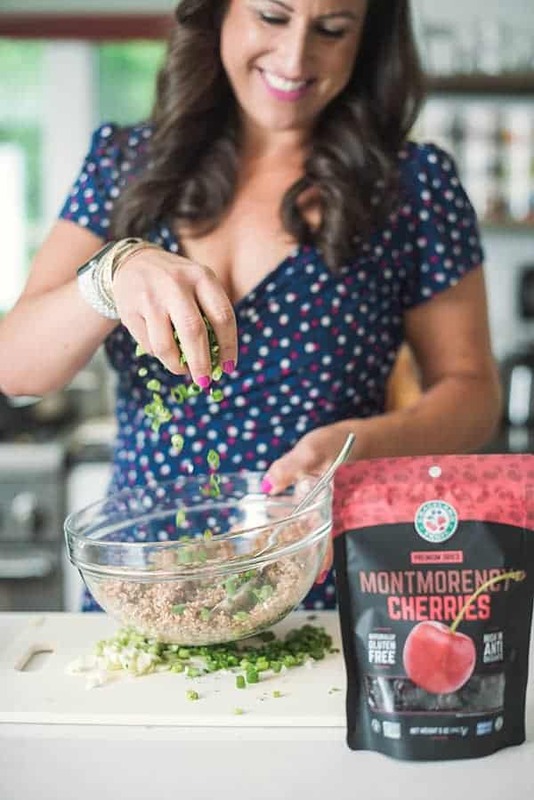 Packed with vitamins and nutrients, I love using cherries to naturally sweeten everything from smoothies to granola bars. 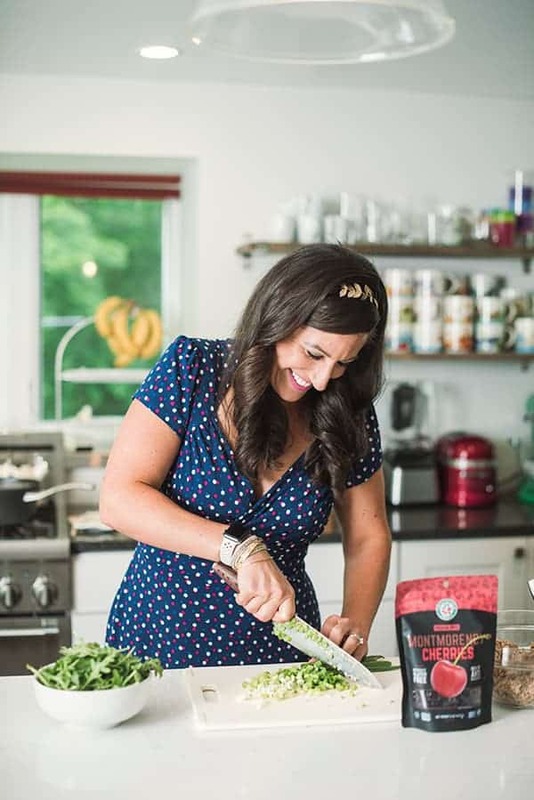 In savory dishes, dried cherries are a great way to balance out the flavor profile of the entire dish. 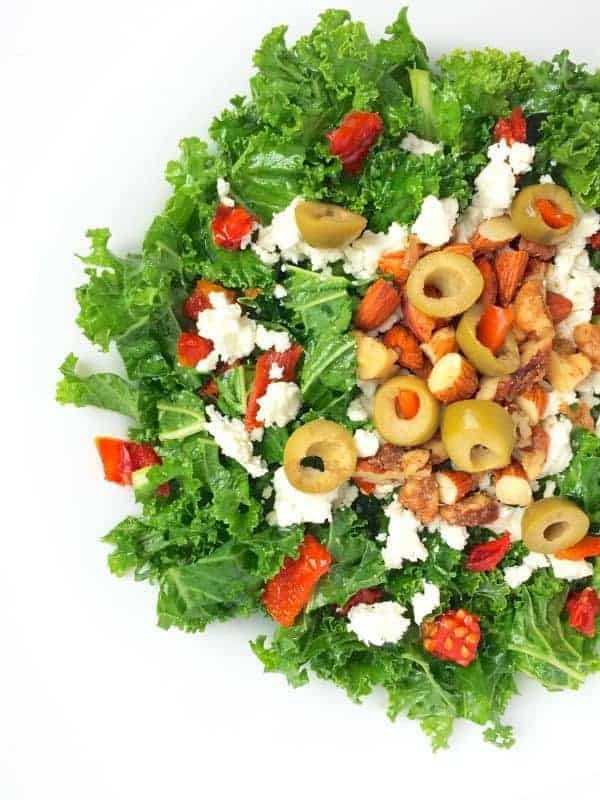 Most recently, I created a summer salad made with bulgur wheat, Graceland Fruit organic dried cherries, creamy feta and spicy arugula. As the dried cherries sit in the vinaigrette, they slowly plump up and become even juicier over time. 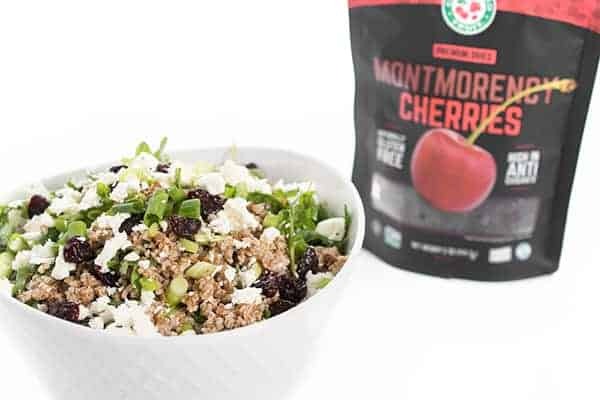 With the National Cherry Festival right around the corner, I couldn’t have picked a better time to create this bulgur salad that is ideal for picnics, BBQ’s, lunch boxes and more. If you’re not familiar with Graceland Fruit, they started as Cherry co-op; a small company in Michigan. 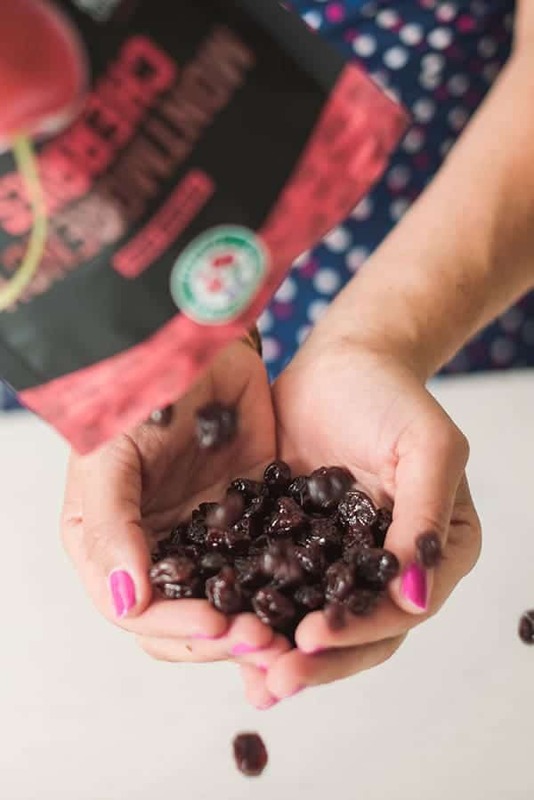 Due to the popularity and demand for their “best of the best” organic dried fruit, the company has grown and now sells its dried fruit in grocery stores across the United States and also exports the dried fruit to nearly 60 countries around the world. Click here to read more about their story and to find a local retailer near you. In the meantime, add this Bulgur Salad with Dried Cherries, Feta and Arugula to your summer meal plans. It’s great for prepping ahead and tastes better over time! 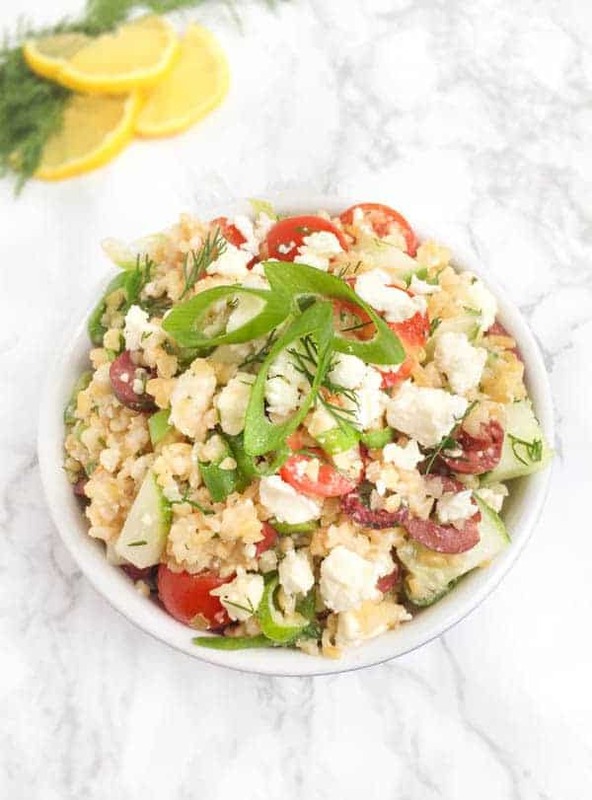 This hearty, whole grain salad is made with bulgur wheat, dried cherries, feta and scallions. Ideal for prepping ahead, this dish tastes better over time! 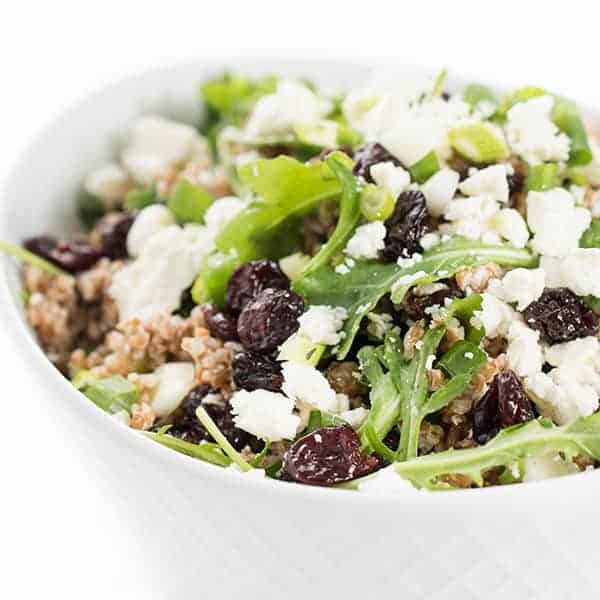 In a large bowl, toss together bulgur, dried cherries, scallions, feta and arugula. In a separate small bowl, whisk together olive oil, lemon juice, garlic, salt and pepper. 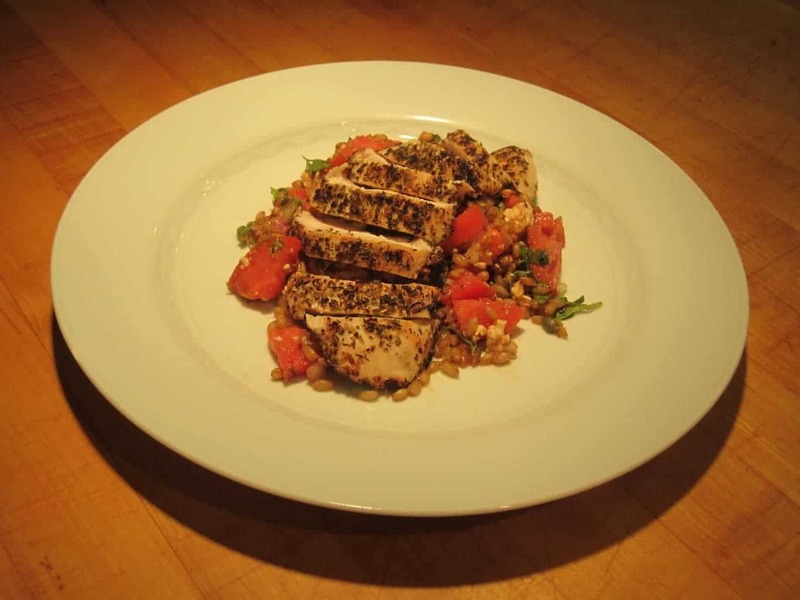 Pour vinaigrette on top of the bulgur salad and toss well. 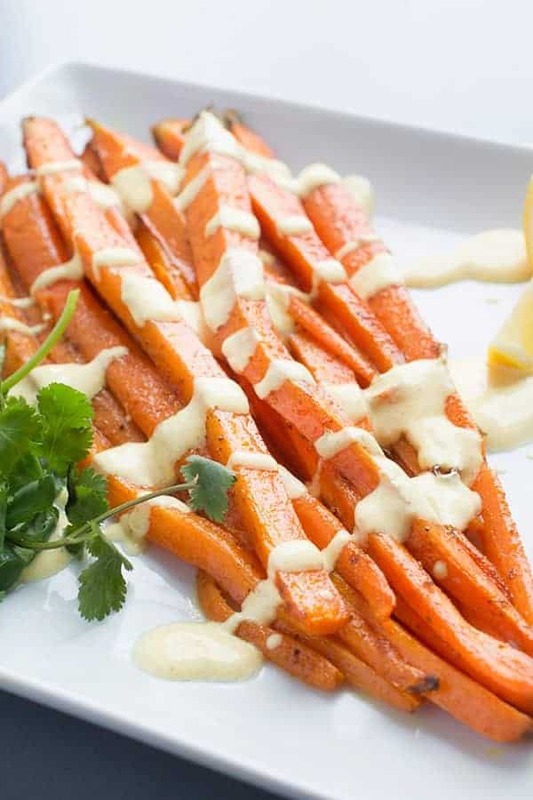 Serve immediately or store in the refrigerator for up to 5 days. Can be stored in an air-tight container in the refrigerator for up to 5 days. Disclosure: This recipe is made in partnership with Graceland Fruit. All thoughts are my own. Thank you for supporting the brands that make The Lemon Bowl possible. 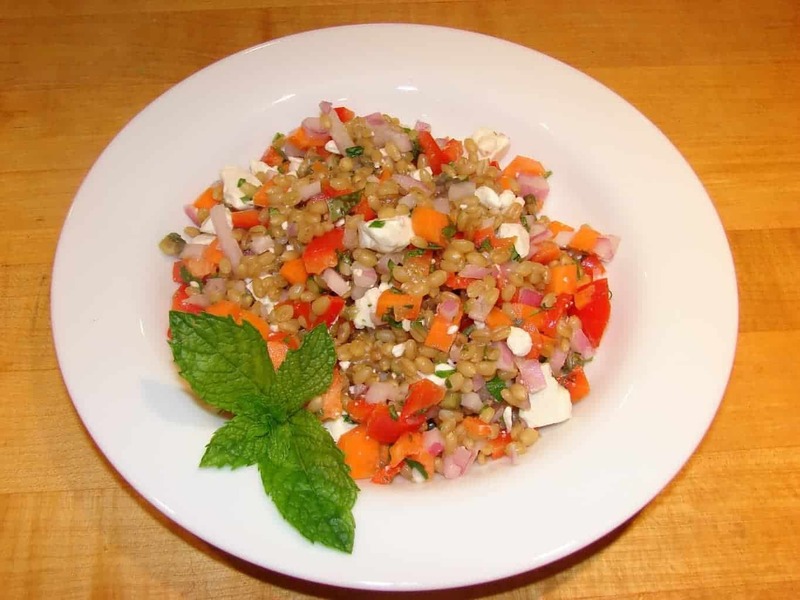 I am all about salad using bulgur! 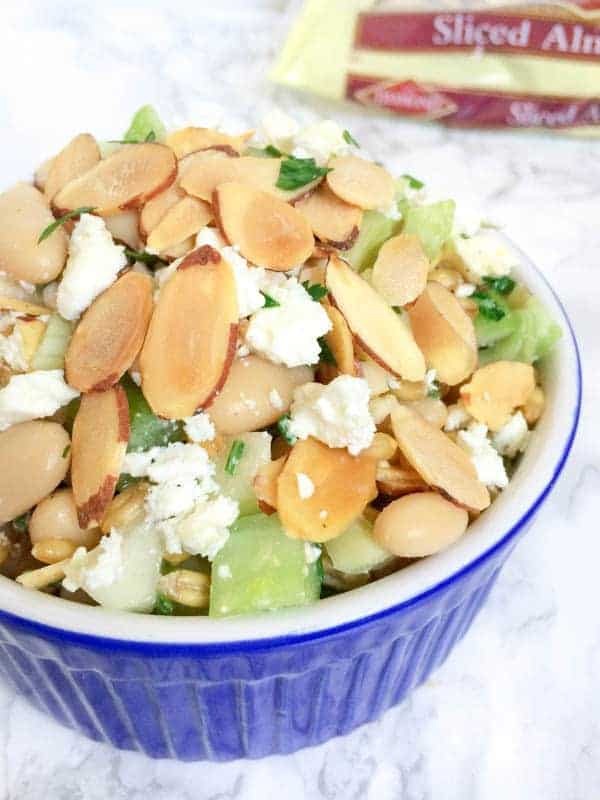 This combination with the feta and dried cherries sounds sweet, savory and wonderful. I love bulgur!! Definitely adding this to the week night rotation!